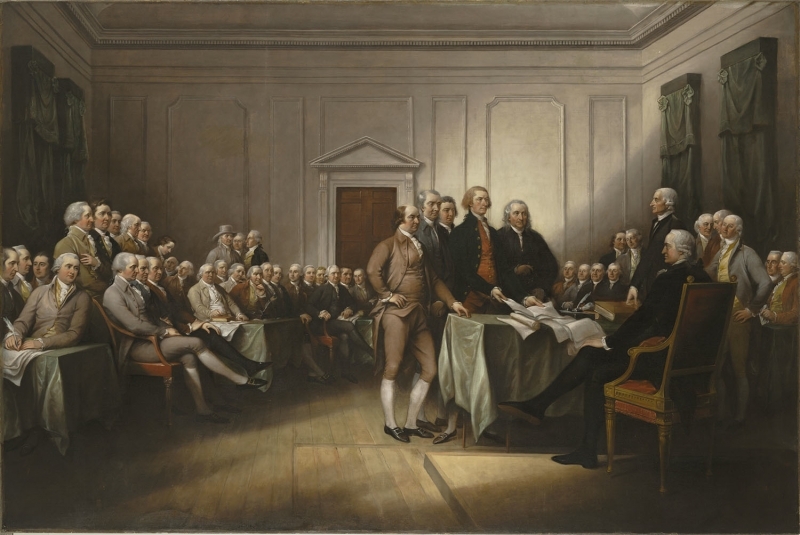 The Continental Congress selected Thomas Jefferson of Virginia, John Adams of Massachusetts, Benjamin Franklin of Pennsylvania, Roger Sherman of Connecticut and Robert R. Livingston of New York to draft a declaration of independence. 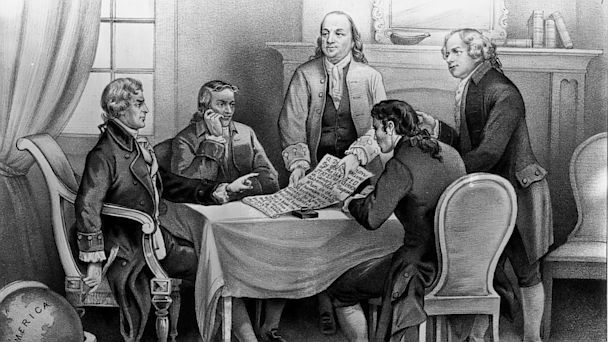 The Committee of Five drafted and presented to the Congress what became known as America's Declaration of Independence of July 4, 1776. America created a new geopolitical country which was for the persecuted Protestants to have a new and happier life in the continent. America fought to seek independence from the British Empire. America advanced on domestic affairs with great strides to abandon slavery of Africans with the Civil war and in the 1960s with the civil rights movement. Internationally, U.S. has been limping on, compromising its own founding values. U.S. values in the declaration are that "to secure these rights, Governments are instituted among Men, deriving their just powers from the consent of the governed." Yet, President Jimmy Carter incriminated himself by unilaterally changing Republic of China as a legally constituted government to a non-governmental economic entity, administered by a non- profit organization called AIT (American Institute in Taiwan) as of January 1, 1979. Brzezinski was in deep fear of Russia, he outmaneuvered Cyrus Vance in recognition of PRC & de-recognition of ROC in 1979. America’s appeasement strategy has turned into a nightmare after 36 years since 1979. PRC has become mighty and requests US to stop patrolling the Pacific. US must redeem itself. US must act independently from PRC coercion, no matter what the communists insist. As JFK interpreted independence as a battle as a “revolution in human affairs”, US must break free from selling ally ROC to woo PRC, because the consequence is that the US continually has to compromise more and more with the PRC. Only by redeeming and regaining lost moral ground, can we begin to win hearts back from our allies. No one wants to be on the next to be sold, including USA herself.